Click on the link above to hear a revealing sermon by Rev. Dr. M. Cecilia Broadous, CEO of Adonai Covenant International Ministries, on how you can utilize the power that raised Christ from the dead. 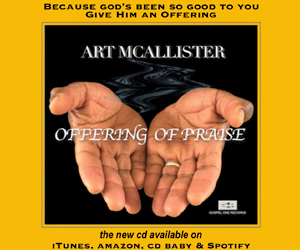 Click on the Media Player to hear a spirit filled ministry of music from some of the best black gospel artists in the world and a Word from the Lord from Rev. Dr. M. Cecilia Broadous. Member of Calvary Baptist Church of Pacoima where Apostle William T. Broadous is the Sr. Pastor.